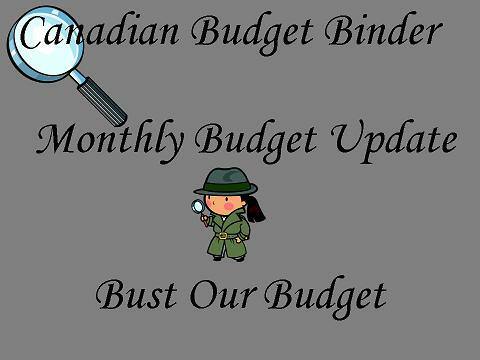 We’ve talked about having emergency savings and the budget over the years here at Canadian Budget Binder and for good reason. 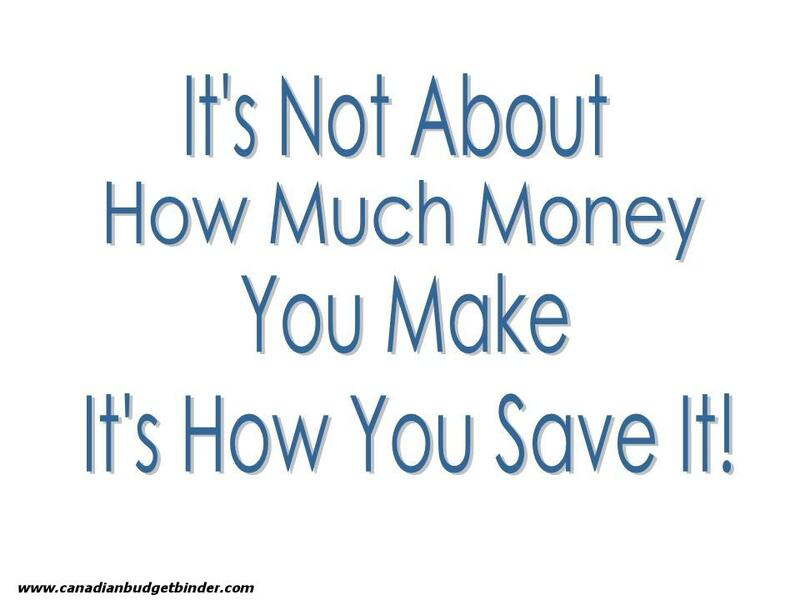 You need savings for unexpected expenses that pop up. Savings whether a small amount or a larger amount are important not only to keep stress levels down but also so you aren’t creating debt. Debt is created because one doesn’t have the cash to pay for a service or product that they need. Just this month as you will read down a bit further we have purchased a product for our home and required emergency services which were paid from our projected expenses account. The reality is that things happen whether it’s this year or the next and being prepared for expenses with some savings in the bank is much better than creating debt. Some people as I wrote about the other day don’t mind carrying debt as they see it as a number on a piece of paper and others like us despise it. I don’t mean mortgages, student loans and car payments because the majority of people do carry debt to pay off some of the largest debts most people will ever have. I’m talking about all the little things that we should be saving up for before putting them on credit, especially if it’s an emergency. You never know what will pop up so it’s better to be prepared by saving even a few dollars a week or month than nothing at all. Have you had an emergency come up where you had to put the expense on credit? We got out and about a bit this month with a trip to the Home Show at the Direct Energy Center in Toronto. The excursion was mainly to research some house upgrades and get some ideas for renovations and the kinds of new products out there. Tickets for the Home Show were free from a friend but we had to pay for parking although that’s nothing new in Toronto. The wife splurged and it’s unusual for her to do so, on a brand new hair styling kit for half price but the results were phenomenal. I do have to mention that my wife doesn’t go to the hair salon and gets the odd trim a couple of times per year. We also bought a much-needed Central Vacuum system of which I will install myself once we receive the shipment. The deposit has been paid but the full amount will probably come out next month. We negotiated a great deal on the system and I’ll likely write a review on the product including how the installation went. I have started attacking projects around the house that need completing. This has increased our home maintenance category for this month although I haven’t managed to venture outside yet and see what projects there are in the yard as it’s far too soggy at the minute. I have set goals for the month of April to include all of my outdoor maintenance. The furnace decided to go wrong overnight during the month and we woke up to a rather cold house. Luckily enough for us the service call only lasted the one hour and the problem was fixed with no parts. There’s another reason that our projected expenses account works as we instantly had the money available to pay for these expenses. Our clothing budget took a hit too, mainly due to our foot wear purchase because of leaking soles. I definitely got my investment out my last couple of pairs of shoes but now the weather is getting warmer and wetter I thought it would be best to invest in some new ones. We both picked out 2 new pairs of shoes and managed to get a 30% discount on top which was great. I bought a new pair of casual shoes to wear when I go out or dress up and a pair of walking shoes. The wife bought a pair of walking shoes and dress shoes as well. We have also been a little under the weather lately which is not like us at all, not sure if it’s a seasonal thing that everyone else has got? You will see our Healthcare/Prescriptions a little higher than normal because of it although a percentage is covered by our benefits company. Other than that I’m still working my two jobs for the moment although the new job is seasonal and will resume in September. How did you make out with your budget for the month of March? You either love it or hate it, that is a fact with anything. Sure we’ve had crap months but we made up for it or we learned from our mistakes just like anyone else would. Budget failure only occurs when you give up on the budget which should not happen as long as you give 100% into making sure you reach your goals. 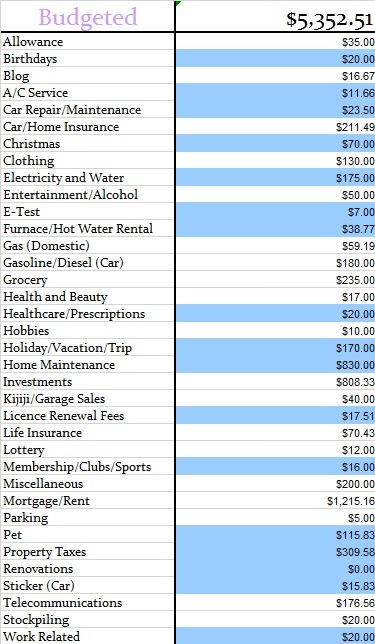 Sometimes fans email and ask me if living on a budget in Canada is any different from living in other countries. To be honest I’m going to say, probably not. If I still lived in the UK I could use this exact budget to meet all of my needs. 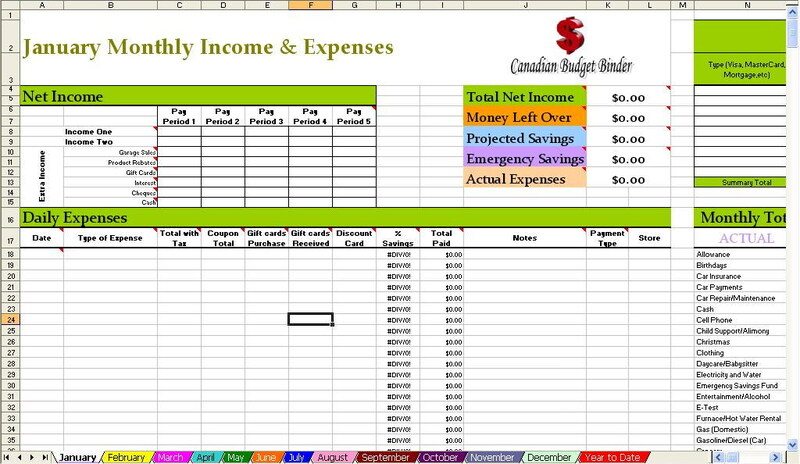 Below are links to the budgeting series which I wrote while designing our spreadsheet. I’m not a financial planner/advisor so I can’t tell you how you should budget but I can show you how we budget our numbers. I’m just a regular guy just like everyone else; some might call me a budget or numbers nerd. Please take the time to read through the budgeting series and I hope you take something away from the information. 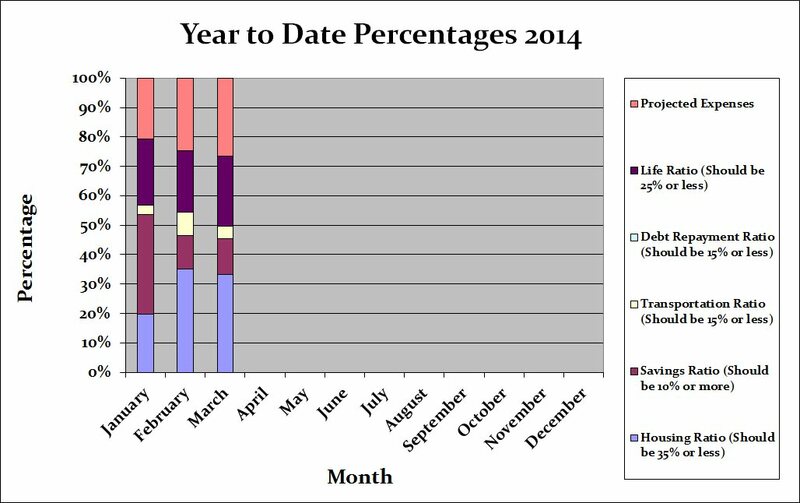 There were no budget changes for the month of March. Our savings of 12.29% includes savings and investments. Our projected expenses this month is at 26.57% which now includes some increases due to overspends explained in the 2013 year in review. 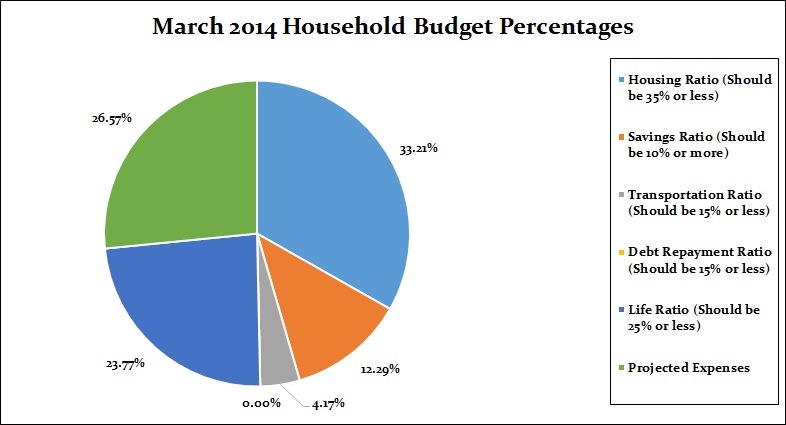 The total March 2014 Household Budget Percentages comes to 100%. When we spend the money in a projected expense category we move that money to our chequing account in order to pay for that incoming expense. We pay money into the projected expenses account continually throughout the year even when bills come due as it’s revolving so as one bill gets paid the money continues to come in from the other categories all year-long. 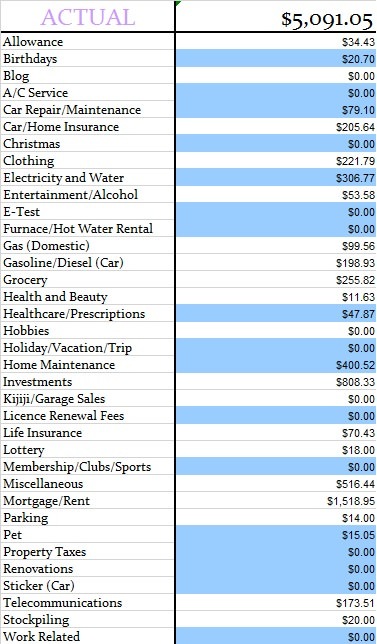 So the $1860.68 gets paid into the projected expense account every month no matter what. It seems to be easier to track our money this way but you can do what works best for you. You will notice we didn’t put the amount going to emergency savings as we have in the past into the actual budget which was a total of $52.38. Sometimes I think I am being too optimistic about by numbers but if I don’t reach them I try harder the next month. Stay positive and that’s all you can do apart from bringing the best you can for your readers. That’s all for this month check back at the beginning of May 2014 to review our April 2014 budget to see how we made out with our numbers and if any changes were made. Expect the unexpected. It really is inevitable. My last major emergency fund raid was last year when I had to get a tooth extraction and dental implant. Spending $2,000 on my mouth did not make me happy (I definitely cried when I heard the price), but at least I was prepared financially. That’s good that you were able to cover the unexpected. People laugh when I let certain parts of my budget accrue; for example, I have “travel” as a monthly expense even though I don’t travel every month, but it’s good to know I’ll have a little extra put away when I need it.